Turtle Pond and Venetian Roads. The high hills overlook the brilliant Caicos Banks. This long and winding road follows along the Turtle Tail peninsula, which ends with a small beach along portions of the southern coast. 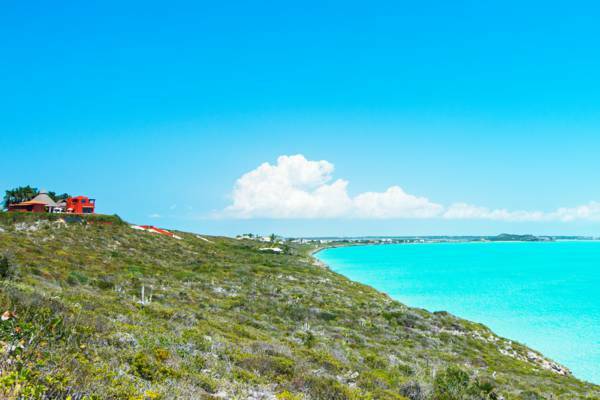 A residential area with private homes and vacation villas, Venetian Road offers one of the most scenic drives on Providenciales as it weaves past low hills overlooking the Caicos Banks and the wetlands of Flamingo Lake and Juba Sound. Having gone years with a rough, unsurfaced road, the road is currently being paved through a private citizens initiative. Aerial view of Venetian Road and Turtle Tail. 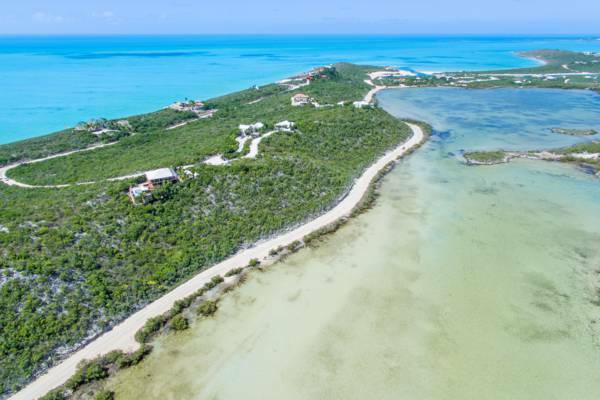 Several high-end luxury villas are located on the bluffs and coasts in this region of Providenciales. Currently under construction are the luxury Gansevoort Villas, a waterfront cluster of homes located near the South Side Marina. Due to the rocky ironshore cliffs that comprise most of the coastline in this district, the beaches are generally sparse and inaccessible. There are no public 'official' accesses, including at Turtle Tail Beach, but there are areas to park and walk to the beach (although this is generally over private, undeveloped land).